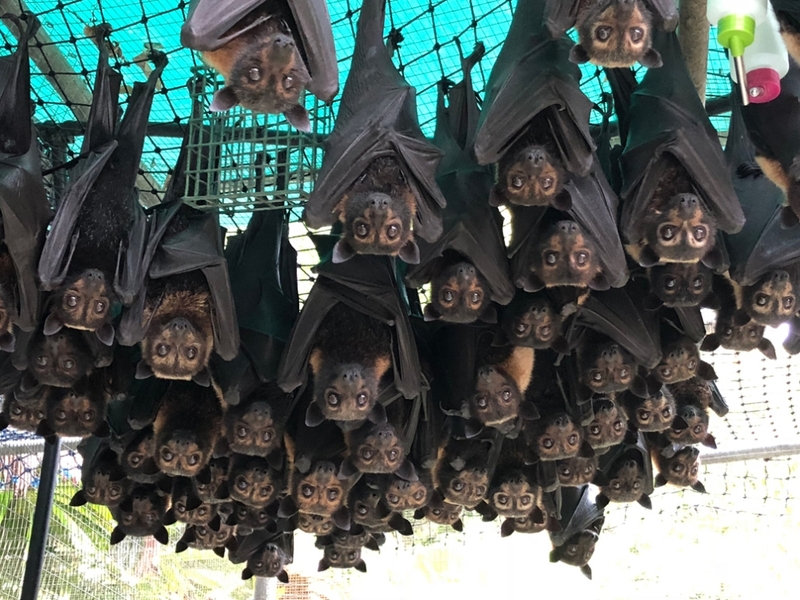 Until late November 2018, we thought our flying foxes in far north Queensland would be spared the disaster of a heat stress event because the high humidity levels tended to keep temperatures down. We had not allowed for climate change and were unprepared for the scale of the event. About 23,000 Spectacled flying foxes died, estimated to be 23% of the population. 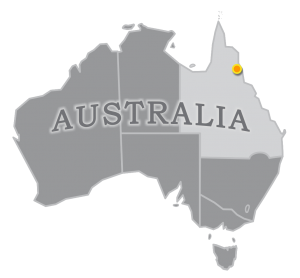 Read about it here from the ABC website. (Right) There are about 70 flying foxes in this photo. Multiply this number by 10 to 700 and that is the record number of orphans we released in early 2019, 500 from heat stress and 200 from tick paralysis. Our role with this event was mainly to take in more than half of the resulting orphans from the coastal camps, and also to provide 2 of our volunteers on the first day. Camps on the Atherton Tablelands were not affected for a number of reasons; at 800 metres above sea level the temperatures were a little milder, and also the vegetation structures of the camps more intact with a good understory. Heat stress events will always occur in our tick season when we have a maximum number of international volunteers booked in. This gives us the capacity to provide significant help as long as we do not have an extreme tick season with many hundreds of orphans already in care. Although we had 200 already in care before this event, the heat-stressed pups came in at about 8 weeks of age so they could independently feed themselves very quickly. Fortunately the numbers of bats coming in from tick paralysis had slowed down significantly by then too because of the extreme dry weather. How did we manage to care for this many bats? Luckily some of our international volunteers were repeat volunteers and some long-staying so there was minimal amount of trainmen required. We accelerated our usual bulk buying of bat food, called in local volunteers more frequently and became more present than usual on social media to attract donations.